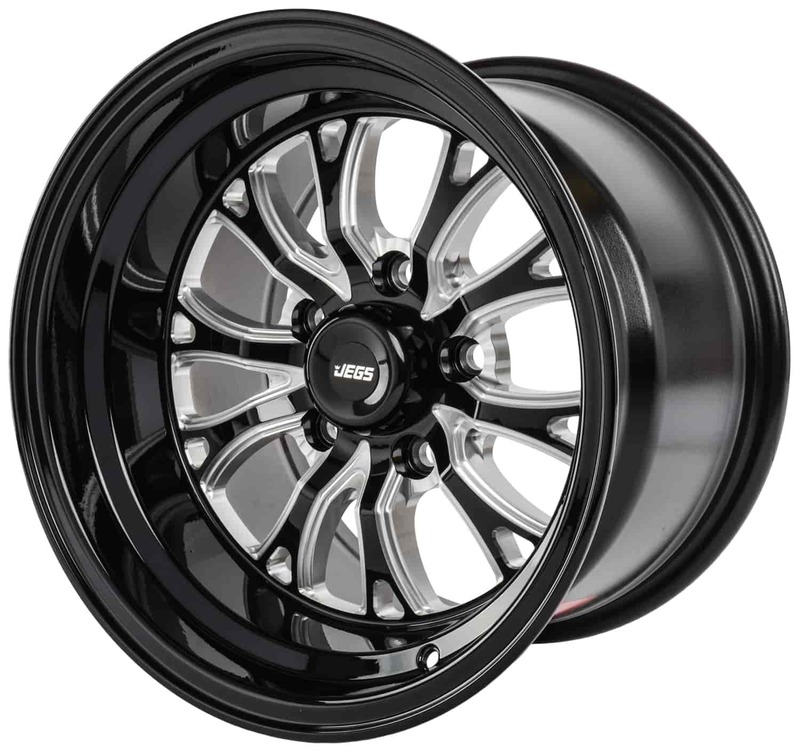 681436 - JEGS SSR Spike Wheels is rated 5.0 out of 5 by 3. Rated 5 out of 5 by Cutdog70 from Nice wheels No issues installing and look great. Fit my 70 cutlass perfectly with a 295/55r15 tire. This will bolt to your Camaro, but you will need to check for clearance depending on the tire being used. No this wheel is not offered in a 5x5 bolt pattern. Would these wheels be available in a 17x10? Can the wheel be made to be 15 x 12? Or does anyone know if there is a wheel with the same style that is 15 x 12? Unfortunately, these are not available in 12 inches wide. will these wheels fit a 5/8 wheel stud? The JEGS wheels are not drilled for 5/8&quot; studs. These wheels weigh 22lbs each.